It has been a while since our last post as we have been extra busy on the farm! Our stand closed for the season back in June but we have do still have greenhouse bell peppers at Lowes Foods in Sanford for a limited time. 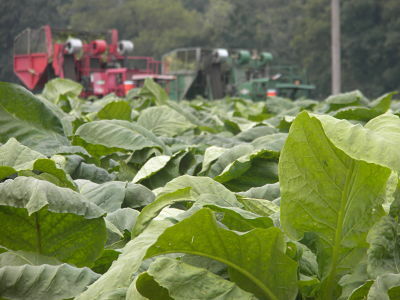 All my farmers have been staying busy with tobacco. Early mornings and late nights are the days of summer on our farm. 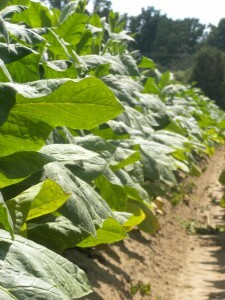 The tobacco is coming along nicely. I have been so excited to have a crop right in front of my house this year! I have loved watching it grow. 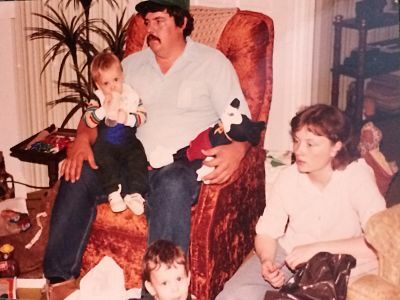 Tobacco has been a big part of my life since as far back as I can remember. 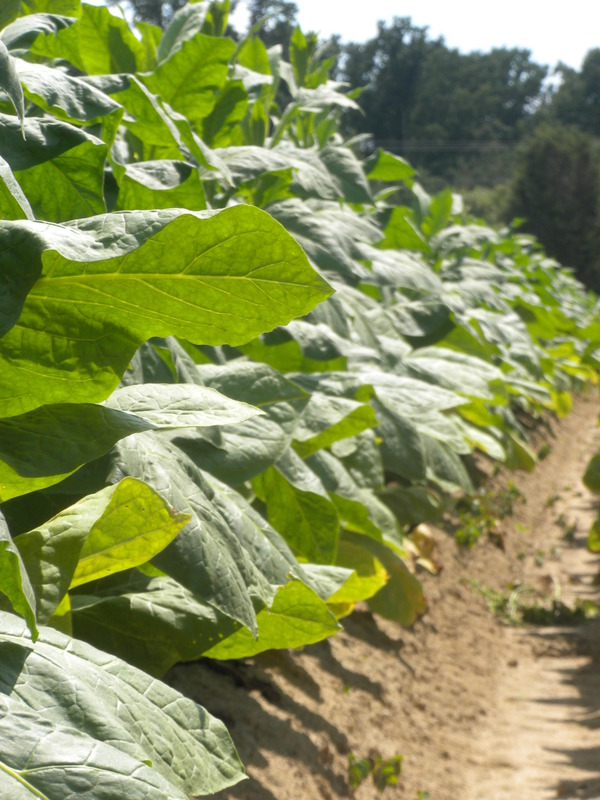 Only a farm kid or someone who has worked on a farm knows the smell of tobacco curing in the barns. I love that smell and often take walks on the farm just to smell it. My dad started in 1974 with just 21 acres of tobacco and this year he has 750 acres. I often get asked a lot of questions about farming since I am a farm kid but I don’t know a lot about it. I know basics. What I know is that farming is a lot more complicated than anyone understands. You have to be dedicated to spend from sun up to sun down in the fields. You have to have faith because with a powerful storm or the lack of rain you will lose your entire crop, your livelihood, something we know all too well as both has happened on our farm. You have to know the land in order to know what you can and cannot grow on it. 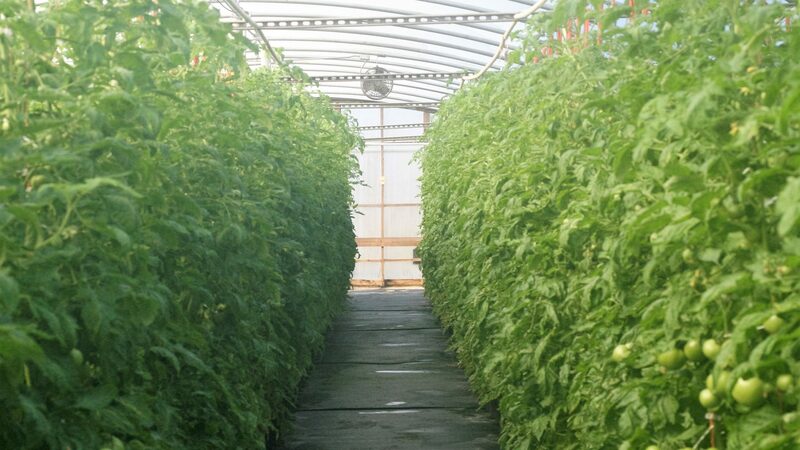 You have to know how to prepare the land and sustain your crops. You have to know how to work on your equipment. You have to often spend more money than you yield from production. I know very few people that understand the hours put in on the farm. 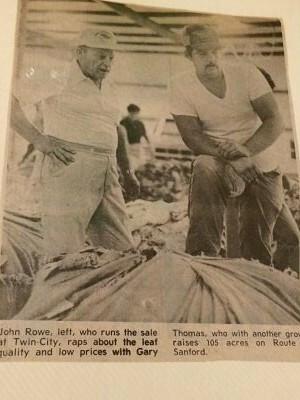 My dad was always working when I was growing up. No he was not there for dinner every night or every game we played, BUT he was there when my girl scout troop went to the park. 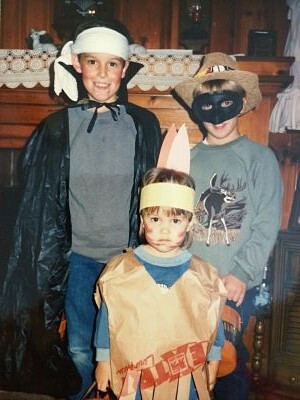 He was there to put lipstick on my cheeks for Halloween when I wanted to be an Indian. He was there when I was scared to get my ears pierced so he took me himself. He was there to take me to get my license when I was scared to death of failing. He was there to see me all dressed up for prom. 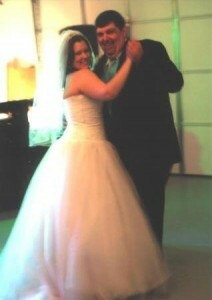 He was there when I walked across the stage to get my diploma and to walk me down the aisle to my now husband. He was there for the birth of both of my boys and he is here for me now. So what has farming taught me? Discipline, dedication, faith, love, family, hope, respect, etc… my question to you is, what has it not?